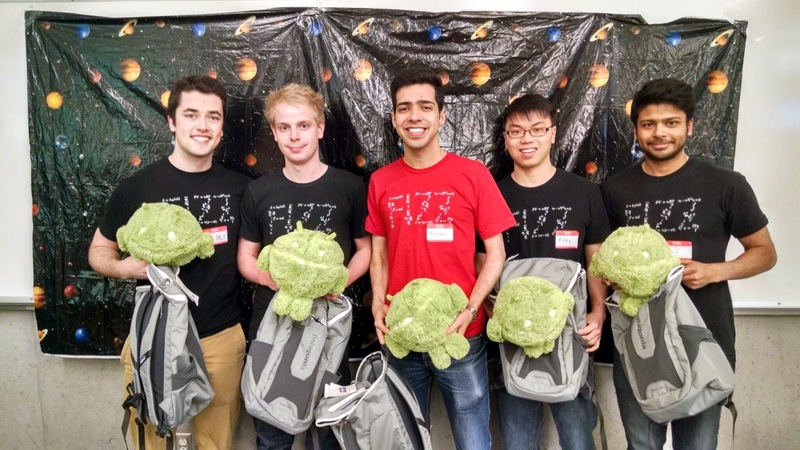 Congratulations to Team SemperFizz (Always Fizz), formed by UBC Engineering Physics students Scott Lawson, Ricky Hu, Bardia Beigi, Alexander Dale, and Ranesh Saha, for winning the 2015 UBC Google Games! What was it like being a contestant for the UBC Google Games? Ranesh shared his experience. "It was a really fun and friendly environment, I had a blast." Scott added, "I thought it was an interesting mix of programming, puzzles and even tower building." 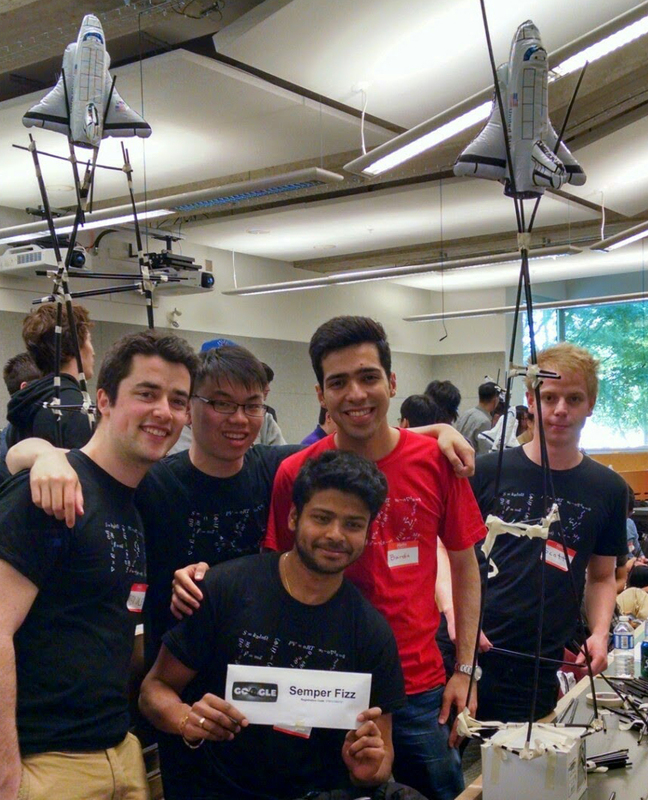 “The competition focused on problem solving and creative thinking,” said team captain Bardia. “Which are exactly what we are taught to be good at in Engineering Physics.” Alexander also mentioned, “Our team was very well balanced and our EngPhys background allowed us to exceed in all challenges rather than just a few!" These students also excel outside of the Google Games, and will be completing their last Co-op work term this summer. Some are working for high-tech companies such as Intel, PMC-Sierra, and MDA, while others are involved in cutting-edge silicon photonics research at UBC, as well as TAing for the well-known Engineering Physics robotics course ENPH 253. The team is excited about their win for 2015, and already looking forward to the 2016 Google Games. "The games were a fun and challenging mental workout, and we can't wait to compete again next year!" Said Ricky. Bardia agreed, "We really enjoyed this experience. It allowed us to put on our creative-thinking and problem-solving hats, and have fun with it during the competition. Team SemperFizz (Always Fizz) will attempt to defend its title in 2016!"